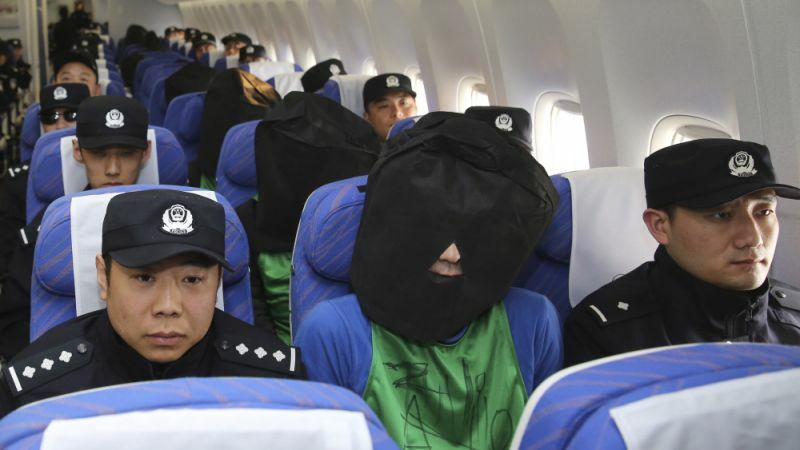 In this photo released by Xinhua News Agency, Chinese suspects involved in wire fraud, center, sit in a plane as they arrive in Beijing on April 13, 2016. Kenya's deportation of nearly four dozen Taiwanese from Kenya to China where they are being investigated over wire fraud allegations is focusing new attention on Beijing's willingness to assert its sovereignty claim over the Taiwan, and the leverage it wields over smaller nations in backing that position. (The UK Guardian) – Taiwan said Kenyan police broke down a jail wall and used teargas to force a second group of Taiwanese to board a plane for China, a day after accusing Beijing of abducting eight other citizens. The 15 Taiwanese were being held in a police station despite being cleared by a Kenyan court of involvement in a cyber-scam, the foreign ministry said. Taiwan’s representative in Africa was informed early on Tuesday that Kenyan police were trying to remove the 15 people from the station and send them to China, it added. “Our colleague went immediately to the prison to see the detainees but faced all kinds of impediments,” said Chen Chun-shen, chief of west Asian and African affairs at the ministry. “They refused to cooperate with the deportation … so the police broke down the walls, using teargas, and then more than 10 police went in with assault rifles,” Chen told reporters in Taipei. Three people from China’s Kenyan embassy were present, he said. Taiwan has no diplomatic ties with Kenya and its nearest diplomat is based in South Africa. The Taiwanese had been acquitted in Kenya. Taipei has already strongly protested to Beijing over the earlier deportation of eight Taiwanese who were also cleared in Kenya of cyber-fraud charges. It accused China of kidnapping the eight and demanded their immediate return. One of the eight has an American passport, Taiwan’s foreign ministry said. Another 22 Taiwanese arrested just last week over similar allegations were also expected to be sent to China on Tuesday, it said. The authorities in China have not confirmed details of the deportations and Taipei is still seeking a response. When asked about the incidents, China’s foreign ministry spokesman Lu Kang said: “The One China policy is an important precondition for bilateral relations with China and other countries. “We commend Kenya for its upholding of this policy,” he told a regular briefing. China still regards Taiwan as part of its territory – awaiting reunification, by force if necessary – even though Taiwan has ruled itself since 1949. …The mother of one of the men forcibly removed from jail on Tuesday told Apple Daily newspaper he was in Kenya on holiday with friends. He was part of a group of 28 Taiwanese and 49 other ethnic Chinese arrested in November 2014 on charges of illegally entering the African state and being involved in fraud. (The Wall Street Journal) THANE, India—For five years, real-estate developer Prahul Sawant ignored government orders to pay his taxes. Then the drummers showed up, beating their instruments and demanding he cough up the cash. Neighbors leaned out windows and gawked. Since drummers began accompanying tax collectors in Thane, India, property-tax revenue has jumped 20%. Within hours, a red-faced Mr. Sawant had written a $945 check to settle his long-standing arrears. Shame is the name of the game as India’s local governments try new tools to collect taxes from reluctant citizens. Faced with meager collections and mounting spending needs, Thane’s municipal commissioner, Sanjeev Jaiswal, is resorting to public embarrassment of tax scofflaws. Sanjay Bohir, a 50-year-old tin worker who owed $285 in back taxes, rushed to pay up before the band showed up at his house because he couldn’t bear to see his “moral status lowered,” he said. Vilas Pednerkar panicked when he saw the drummers coming. He owed the city $300 and didn’t want clients of his street-repair company to think he is unreliable. India has long had problems persuading people to share their earnings with the government. Only 3% of the country’s 1.2 billion people pay taxes, mostly because many are too poor to owe anything, but also because what authorities have said is widespread evasion. Overall, Indian tax collections amount to about 17% of gross domestic product, compared with 25% in the U.S. and 33% in the U.K., according to the Heritage Foundation. Partly as a result, New Delhi has a record of chronic underinvestment in infrastructure, and the country’s health and education systems struggle. Attempts to increase tax revenue have met resistance. In Thane, tax avoidance is less about principle than about simply not wanting to pay. In the Vitawa-Kalwa tax district where Mr. Sawant’s apartment is located, about one-third of homeowners don’t pay their property taxes, authorities said. Tax collectors in Vitawa-Kalwa are glad the drummers, and some security officers, are touring the neighborhood with them. Four drummers march up front. Behind them, a municipal employee holds a flag with Thane’s coat of arms. The music, said 17-year-old drummer Aniket Jadhav, is the same as what he plays at weddings and birthday parties. (The Wall Street Journal) BEIJING—The abolition of China’s one-child policy came too late for one group of middle-aged Chinese: those whose only child has died and whose financial security in old age is now in jeopardy. 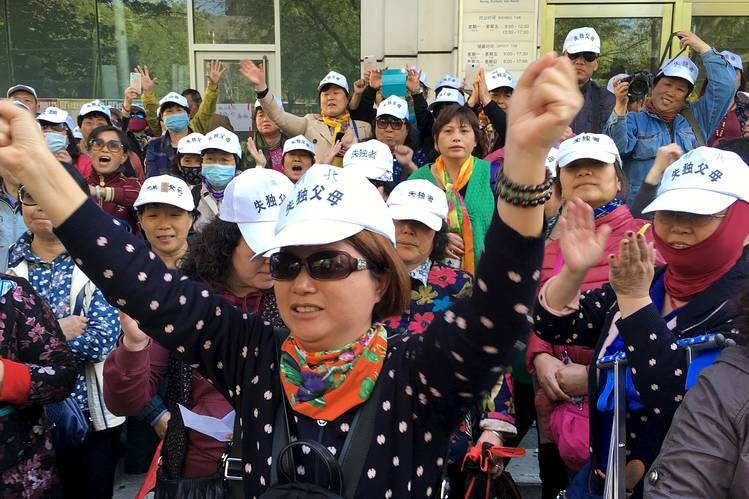 Wearing white hats that said “Parents of the Lost Only Children,” hundreds of them protested outside the national family-planning office in Beijing on Monday, April 18, 2016. Petitioners outside the National Health and Family Planning Commission of China, in Beijing on April 18. They had gathered from various parts of China to lobby for financial support. Many held pictures of their children and wore signs saying that they were the victims of China’s family-planning policies. Jie Dongsheng and his wife, Li Xurong, both 52 years old, had traveled from the city of Zibo in Shandong province. They lost their 26-year-old son to leukemia in 2013 and have been unable to work due to poor health and injuries. “He was our life. Now we have nothing,” said a tearful Mr. Jie. 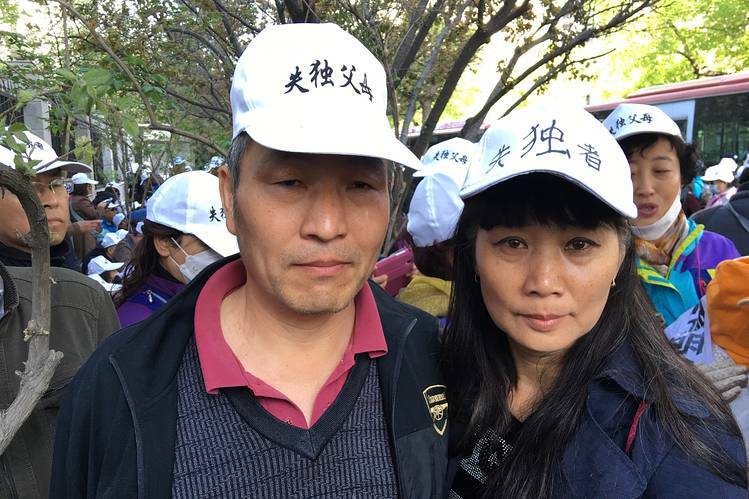 Jie Dongsheng and his wife, Li Xurong, stand amid hundreds of bereaved parents who have lost their only children and are seeking government benefits to support them in their retirement. Amid falling birthrates and a rapidly aging workforce, China said late last year it would allow all couples to have two children, ending one of modern China’s most controversial decrees, the One Child Policy, which prohibited couples from having more than one child. When implemented in 1980 to help lift China out of poverty, the one-child policy forced a dramatic shift in a largely agrarian society in which citizens relied on offspring to work on their farms and support them in old age. Many women who tried for a second child were forced to have abortions. Three and a half decades later, the majority of Chinese live in cities and many retirees draw social-security benefits, but most rely heavily on a generation of only children to support their parents after they stop working. Chinese law requires adult children to provide for their parents, though it says the elderly are also entitled to assistance from the state. There is no mention of contingency support for those who have no children or whose children are unable to support them. The National Health and Family Planning Commission didn’t immediately respond to requests for comment. At legislative meetings in March, Chinese officials said they are working to address these issues and are developing elder-care centers around the nation. Last week, the commission said in a statement that a monthly subsidy for families whose only child is disabled or has died would increase to 340 yuan ($52) from 270 yuan. It wasn’t clear what families must do to receive the subsidy; several parents at the protest said they didn’t receive any government funding. The central government is also planning to increase the retirement age, now at 60 for men and 55 for women, to address the shrinking ratio of workers to retirees and decrease the reliance on filial support. Those who have lost their one child – according to estimates, around one million parents – say they should be entitled to compensation since they find themselves childless partly as a result of government policies. The parent protesters, which keep in touch via private discussion groups on social-media platforms, say the government has allowed them to hold events around China, but that there has been a strong police presence at protests. Monday’s demonstration was no exception. Hundreds of police—both plainclothes and uniformed—surrounded the blocks around the National Health and Family Planning Commission building, though they didn’t take a heavy hand with the protesters, who mostly sat crouched quietly on blankets or little stools. Some of them said there had been scuffles at other protests. b) Why did the Kenyan authorities allow the Chinese government to forcibly take Taiwanese citizens, who had been acquitted of any crime, and bring them to China? c) What did Chinese Foreign Ministry spokesperson Lu Kang tell reporters about the Taiwanese? b) Why is Mr. Jaiswal using this tactic? c) How effective has it been? d) Why wouldn’t this idea work in the U.S.? Be specific. b) What does Chinese law require adult children to do for their parents? c) How is Chinese government responding to these parents’ plea for assistance? So why did Kenya deport them to mainland China rather than to Taiwan? The most immediate answer is simply that China asked Kenya to do so. Chinese state authorities claim they have jurisdiction over the Taiwanese group, whom they accuse of having participated in a telecom fraud ring that cost Chinese victims billions of yuan, and thus asked the Kenyans to send them to China to face investigation. Kenya obliged, perhaps in part because the country relies heavily on Chinese investment, or perhaps just because it didn’t realize it was going to turn into a big controversy. But at its core, this story isn’t really about Kenya. It’s about the central dispute between China and Taiwan that goes back decades — and about a network of criminal gangs that spans both sides of the Taiwan Strait. The dispute between China and Taiwan goes back to 1949 and the end of the Chinese Civil War, when the defeated Nationalists fled to the island of Taiwan, leaving the communists in power in mainland China. The two territories have been governed separately ever since, with both governments claiming to be the legitimate representative of “One China” — that is, China and Taiwan. Decades of outright hostility eased somewhat in 1992, when they worked out a deal that basically amounted to “let’s agree to disagree.” Known as the 1992 Consensus, the agreement allowed both governments to claim sovereignty over both mainland China and Taiwan, without recognizing the other’s legitimacy. This allowed them to set aside their argument and establish economic ties, which would be hugely beneficial to both parties. And it (mostly) worked: China is now Taiwan’s largest trading partner. But, of course, it left the fundamental political dispute unresolved, with the potential for a resumption of hostility always just below the surface. And it remains a hugely sensitive issue for both sides. Most countries, including Kenya (and the US), only have formal diplomatic relations with mainland China and don’t officially recognize the government in Taiwan. Still, while many countries find ways to navigate the de facto separation of China and Taiwan, Kenya is apparently treating the Taiwanese citizens as if they are subjects of mainland China. Of course, Kenya presumably knows full well that Taiwan exists and that the Taiwanese in its custody were, well, Taiwanese. But China evidently asked the Kenyan government to send the group to mainland China. So why did Beijing ask for this in the first place? In this case, it was a scam run out of Nairobi that allegedly used internet phone accounts to defraud Chinese victims of more than 600 million yuan ($93 million). China’s foreign ministry alleges that people in nine mainland Chinese provinces — including “elderly people, teachers, students, migrant workers, [and] laid-off workers” — were targeted and that some victims even killed themselves. When that happened, the Chinese government reportedly asked the Kenyan authorities to detain the Taiwanese and send them to China so they could face an investigation there. “They are acquitted, but they are not without guilt,” Chinese Foreign Ministry spokesperson Lu Kang told reporters. Kenyan authorities complied, explaining that because they recognize Beijing as the rightful government of Taiwan, they consider these Taiwanese to be citizens of mainland China. 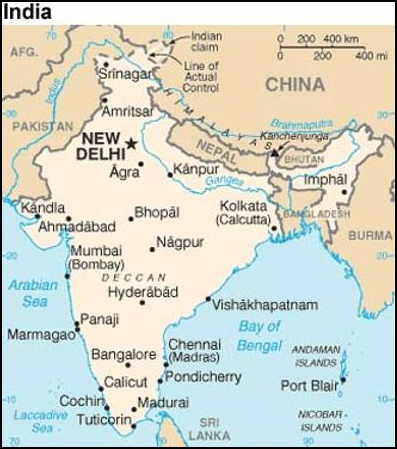 Indians are so tax-averse that jewelers went on strike for more than a month over a new law requiring customers to share their tax identification number if they spend more than $3,000 on jewelry, part of an effort to crack down on wealthy people who may be evading taxes. In 2009, New Delhi lawyers went on strike to protest the imposition of a tax on law firms. Tax resistance is entrenched in Indian history. Mahatma Gandhi’s fight for independence revolved in part around protesting a British-imposed salt tax. Skeptics predict the effects of the drumming on tax evaders will fade when the band’s appearances become routine…. Mr. Jaiswal [Thane’s municipal commissioner] has thought of that. During this fiscal year, which began April 1, he plans to deploy groups of transgender women, known in India as hijras, to perform mocking dances to shame tax delinquents. Hijras are widely believed to be able to impose hexes. 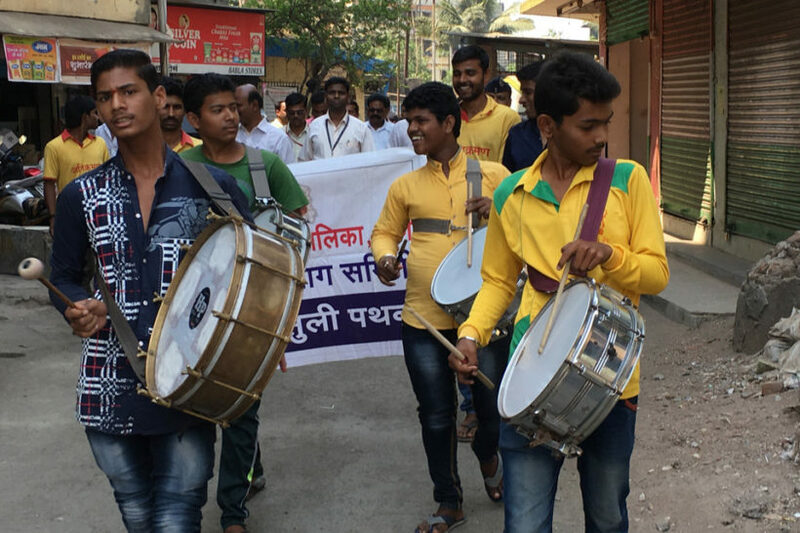 Mr. Jadhav, who began drumming at age 2 and was recruited by the municipality earlier this year, said it typically takes about five minutes for alleged tax shirkers to come outside and pay up. Mr. Sawant’s neighbors couldn’t help but notice when the percussionists showed up. The drums boomed through the courtyard of the three-story building. Mr. Sawant made a round of calls. In a matter of hours, he managed to pull together the money he needed, with friends and family pitching in. He rushed to the town hall to pay. Despite being on the receiving end, Mr. Sawant expressed grudging admiration for the collection tactic. “It’s very, very effective,” he said. After the 2008 earthquake in Sichuan killed thousands of children when their schools collapsed, there was a rush to fertility clinics as bereaved parents tried to conceive again. Wang Jianxia, 48, said the end of the one-child policy came too late for her and the others at Monday’s protest. “We are all too old to have another child,” she said. Ms. Wang lost her job when grieving her son’s death in a car accident two years ago and says she has fallen through the cracks of China’s laws. She was relying solely on her son to support her in old age as she is divorced. Now she is jobless and too young to draw a monthly retirement check. “My difficulties are recognized by no one,” she said. She has taken out loans that she can’t repay and hasn’t succeeded in getting any help from her local government in the eastern city of Weihai in Shandong province. The Beijing local government lined the streets with parked buses, some filled with police, to contain the protest to the sidewalks. “They don’t want us to air our dirty laundry in public,” said Zhou Hua, a 59-year-old who lost her son to illness in 2011. Beijing municipal police and public-security officials didn’t immediately respond to requests for comment. Protesters say at some events, officials had come out to listen but have made no concessions.